Comments: Sometimes a truly exceptional compilation goes unrecognized with as many excellent recordings as there are offered in Hawaiian Music. As this was the case with the premier Pure Hawaiian, I can only hope this release receives the accollades it deserves. 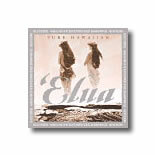 Reviews: ... is the highly anticipated follow-up to Hawaii’s best selling compilation album, Pure Hawaiian! With a rich blend of the very best in traditional and contemporary Hawaiian music, the star studded artists include Raiatea Helm, Gabby Pahinui with the Sons of Hawaii, The Mäkaha Sons of Ni‘ihau, Iva Kinimaka, Ale‘a and Pali featuring Genoa Keawe to name a few. This stunning package features two new releases: Pua Mae ‘Ole by Keli‘i Kaneali‘i (formerly of HAPA) accompanied by Grammy-award winning slack key guitarist Bryan Kessler and a newly recorded version of Moloka‘i Sweet Home by Kalapana singer /songwriter Malani Bilyeu.